​An ecological alternative to traditional burial creating a living legacy of love, life, and dignity. Imagine your loved one's ashes becoming part of a natural ecosystem that supports fish and other sea life for years to come! Thes can be delivered in person or via the mail. From the moment we receive the ashes we employ a Positive Chain of Custody procedure. This means that the entire process is documented and videotaped for authenticity. 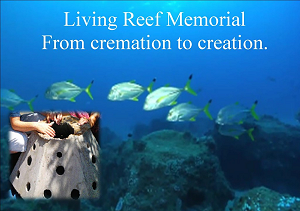 It takes a week once we receive the cremains to prepare the paperwork and to cast the reef memorial. It takes no less than thirty days for the reef to cure. 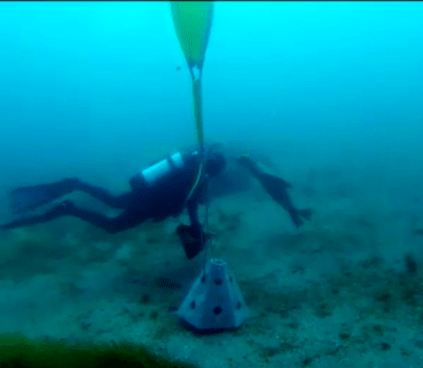 Viewing the deployment of your reef memorial can be done in person or by watching the video we provide. If you wish to make the voyage to the deployment site we can assist you in arranging an appropriate charter. Reef memorial prices range is as low as $600.00 to $4,000.00. Payment plans are offered at zero interest and can be as low as $50.00 per month. Contact us for more information ​877-277-2799. Be sure to ask for your free info kit.